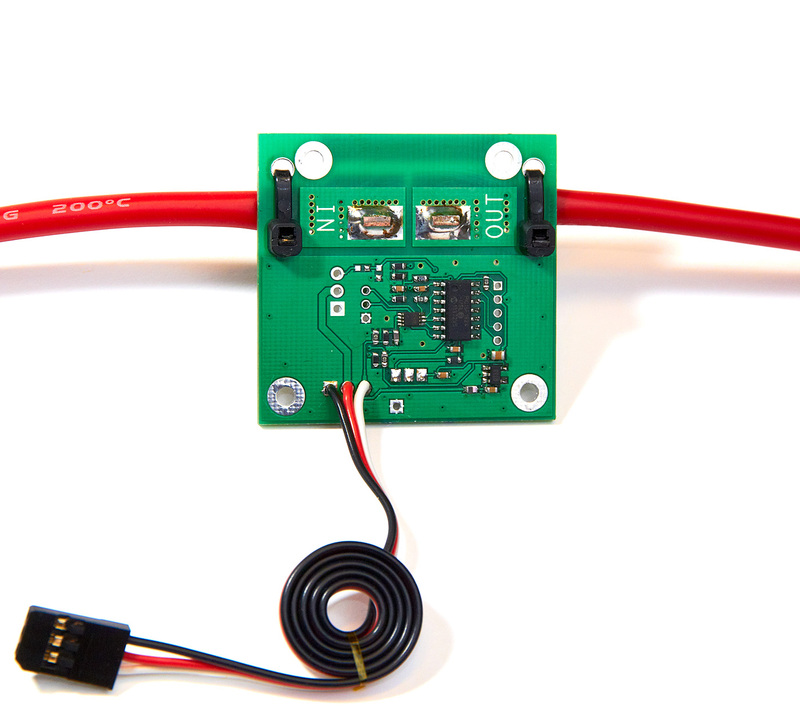 Larger version of the 150A SBUS2 compatible accumulating current sensor. 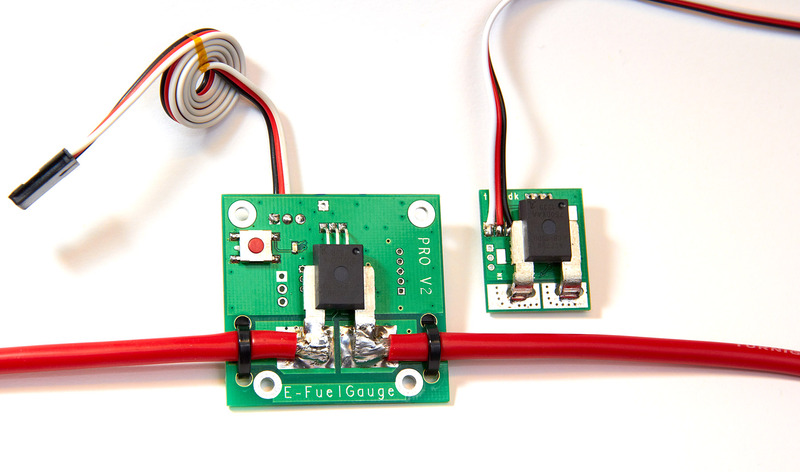 For standard aircraft and helis, the standard E-FuelGauges is recommended, because it's much easier to fit inline on the ESC positive supply Difference from standard version: Supports screw mounting and cable-ties to secure the sensor in your (larger) aircraft. - FER:Link Loops back RX Frame Error Rate as a virtual temperature. 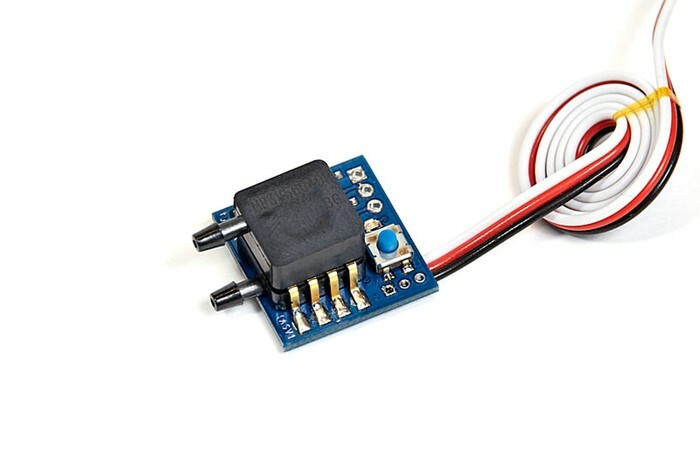 - Preflight Voltage Check Automatic voltage warning before flight if too low voltage. 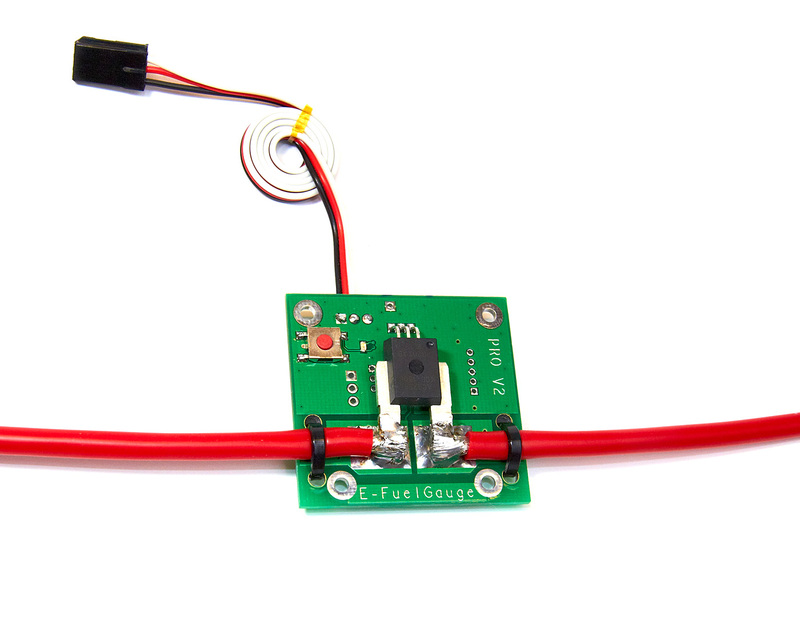 Optional PWM output full servo resolution for driving ESC or eg. 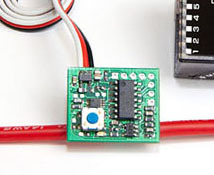 nose wheel servo directly from any SBUS channel. * note: For T10J version, channel 10 is used instead of DG1.